Simons, T.R. and J.J. Stocking. 2011. American Oystercatcher Conservation Initiative – North Carolina. 2011 Annual Report to the National Park Service. 26 pp. Simons, T.R. and T. Borneman. 2011. Effects of Military Jet Overflights on American Oystercatcher Breeding Behavior and Productivity at Cape Lookout National Seashore. 2011 Annual Report to the U.S. Marine Corps. 44 pp. Collazo, J. A., M. Krachey, S. J. Dinsmore, T. H. White, Jr., I. Llerandi-Román. 2010. Assessment of Puerto Rican Parrot Demography: Implications for its Recovery Program. Final Report to the U.S. Fish and Wildlife Service, Puerto Rican Parrot Field Office, Rio Grande, Puerto Rico. 52 pp. Nytch, C., J. A. Collazo, F. Núñez-García, W. C. Hunter, and S. Melvin. 2010. Puerto Rico and the U.S. Virgin Islands Bird Conservation Plan. Final report to U.S. Fish and Wildlife Service, 1875 Century Blvd., Atlanta, GA. 245 pp. Simons, T.R. and R. Hylton. 2010. Effects of Atmospheric Pollution on High Elevation Fauna in the Great Smoky Mountains National Park. 2009 Annual Report to the National Park Service and the U.S. Geological Survey. 49 pp. Simons, T.R., A. Waldstein, and A. O'Connell. 2010. Raccoon (Procyon lotor) Ecology at Cape Lookout National Seashore, North Carolina. 2009 Annual Report to the National Park Service. 58 pp. Simons, T.R., and S. Schulte, and J.J. Stocking. 2010. American Oystercatcher (Haematopus palliatus) research and monitoring in North Carolina. 2009 Annual report to the National Park Service, U.S. Fish and Wildlife Service, and the National Audubon Society. 58 pp. M. J. Rubino. 2009. Manual for Reviewing SE-GAP Vertebrate Models. Simons, T.R. and R. Hylton. 2009. Effects of Atmospheric Pollution on High Elevation Fauna in the Great Smoky Mountains National Park. 2008 Annual Report to the National Park Service and the U.S. Geological Survey. Simons, T.R., A. Waldstein, and A. O'Connell. 2009. Raccoon (Procyon lotor) Ecology at Cape Lookout National Seashore, North Carolina. 2008 Annual Report to the National Park Service. Simons, T.R., and N. Tarr. 2009. Fall shorebird migration and ORV disturbance at Cape Lookout National Seashore. 2008 Annual report to the National Park Service. Simons, T.R., and S. Schulte. 2009. American Oystercatcher (Haematopus palliatus) research and monitoring in North Carolina. 2008 Annual report to the National Park Service, U.S. Fish and Wildlife Service, and the National Audubon Society. Hunt, K.M., J.C. Whitehead, D.J. Murie, and T.J. Kwak. 2008. Supply report: survey of institutions of higher learning to investigate possible shortages in the number of individuals with post-baccalaureate degrees in subjects related to fishery science. Pages 21-39 in U.S. Department of Commerce and U.S. Department of Education. The shortage in the number of individuals with post-baccalaureate degrees in subjects related to fishery science. NOAA Technical Memorandum NMFS-F/SPO-91. Simons, T.R. and R. Hylton. 2008. Effects of Atmospheric Pollution on High Elevation Fauna in the Great Smoky Mountains National Park. 2007 Annual Report to the National Park Service and the U.S. Geological Survey. 49 pp. Simons, T.R., A. Waldstein, and A. O'Connell. 2008. Raccoon (Procyon lotor) Ecology at Cape Lookout National Seashore, North Carolina. 2007 Annual Report to the National Park Service. 58 pp. Simons, T.R., and N. Tarr. 2008. Fall shorebird migration and ORV disturbance at Cape Lookout National Seashore. 2007 Annual report to the National Park Service. 66 pp. Simons, T.R., and S. Schulte. 2008. American Oystercatcher (Haematopus palliatus) research and monitoring in North Carolina. 2007 Annual report to the National Park Service, U.S. Fish and Wildlife Service, and the National Audubon Society. 58 pp. Simons, T.R., K.H. Pollock, J.M. Wettroth, M.W. Alldredge, K. Pacifici, and J. Brewster. 2008. Sources of measurement error, misclassification error, and bias in auditory avian point count data. The All-Bird Bulletin, March 2008: 2-3. Hunt, K.M., J.C. Whitehead, D.J. Murie, and T.J. Kwak. 2007. Survey of institutions of higher learning to investigate possible shortages in the number of individuals with post-baccalaureate degrees in subjects related to fishery science. Technical report submitted to the Executive Director of the American Fisheries Society, U.S. Secretary of Commerce, and the U.S. Secretary of Education, Bethesda, Maryland. Kwak, T.J., P.B. Cooney, and C.H. Brown. 2007. Fishery population and habitat assessment in Puerto Rico streams: phase 1 final report. Federal Aid in Sport Fish Restoration Project F-50 Final Report, Submitted to Marine Resources Division, Puerto Rico Department of Natural and Environmental Resources, San Juan. Kwak, T.J., W.G. Cope, and F.M. Holliman. 2007. In situ evaluation of water quality and contaminants in the lower Roanoke River: survival and growth of shortnose sturgeon. Project Completion Report to U.S. Fish and Wildlife Service, Raleigh, North Carolina. Lombard, C. D. and J. A. Collazo. 2007. Nesting Ecology and Conservation of Least Terns (Sterna antillarum antillarum) in St. Croix, U. S. Virgin Islands. Report submitted to: Government of the U.S. Virgin Islands, Department of Planning and Natural Resources, Division of Fish and Wildlife, 6291 Estate Nazareth, St. Thomas, VI 00802. Report in fulfillment of Grant W-18, March 2007. Holliman, F.M., T.J. Kwak, W.G. Cope, and J.F. Levine. 2007. Assessing risk of electrofishing mortality and sublethal effects to freshwater mussels. State Wildlife Grant Project T-03-01, Final Report, Submitted to Division of Inland Fisheries, North Carolina Wildlife Resources Commission, Raleigh. Simons, T.R. and R. Hylton. 2007. Assessing the Effects of Atmospheric Pollution on High Elevation Bird and Snail Communities in the Southern Appalachians. 2006 Annual Report to the National Park Service and the U.S. Geological Survey. 20 pp. Simons, T.R., and N. Tarr. 2007. The effects of vehicle traffic on migrating shorebirds at Cape Lookout National Seashore. 2006 Annual report to the National Park Service. 39 pp. Simons, T.R., S. Schulte, J. Cordes, M. Lyons, W. Golder. 2007. American Oystercatcher (Haematopus palliatus) research and monitoring in North Carolina. 2006 Annual report to the National Park Service, U.S. Fish and Wildlife Service, and the National Audubon Society. 46 pp. M. J. Rubino. 2006. Ancillary Data Development for SE-GAP Species Predicted Distribution Modeling. Simons, T.R., and R. Hylton. 2006. Assessment of Black-capped Chickadees as a Model Species for a Calcium Limitation Study in the Southern Appalachians. 2005 Annual Report to the National Park Service and the U.S. Geological Survey. 25 pp. Simons, T.R., and N. Tarr. 2006. Measuring the effect of off-road vehicles on beach birds at Cape Lookout National Seashore. 2005 Annual progress report to the National Park Service. 26 pp. Simons, T.R., S. Schulte, C. McGowan, J. Cordes, M. Lyons, W. Golder. 2006. American Oystercatcher (Haematopus palliatus) research and monitoring in North Carolina. 2005 Annual report to the National Park Service, U.S. Fish and Wildlife Service, and the National Audubon Society. 46 pp. Technical/Agency Draft Recovery Plan for Amazona vittata. Simons, T.R., C. McGowan, J. Cordes, M. Lyons, and W. Golder. 2003. American Oystercatcher (Haematopus paliatus) research and monitoring in North Carolina. Annual report to the National Park Service and the US. 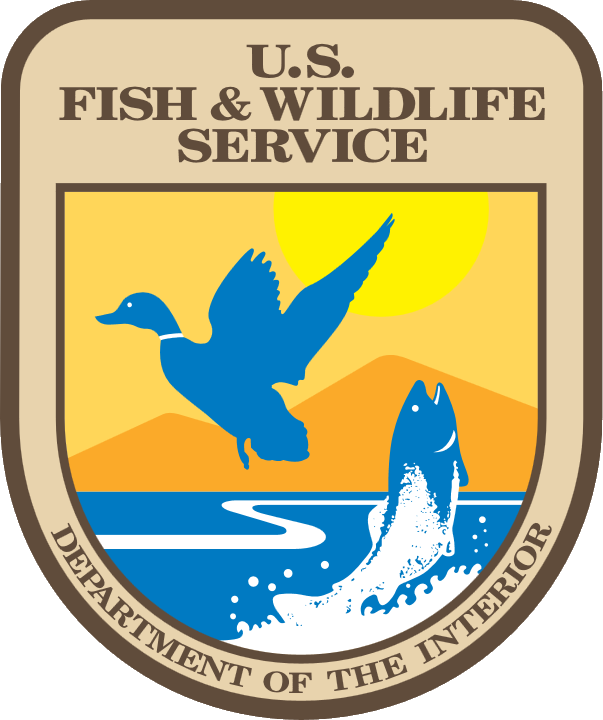 Fish and Wildlife Service, 27 pp. Kwak, T.J. and W.E. Pine III. 2001. A predator beneath us: exotic flathead catfish on the coastal plain. Friend of Wildlife: Journal of the North Carolina Wildlife Federation 49(3): 14-15. Simons, T.R., L.L. Bailey, and K.H. Pollock. 2001. Evaluation of salamander habitat associations and population monitoring techniques in Great Smoky Mountains National Park. 2000 Annual Report. Kwak, T.J. 2000. Invited Book Review of River ecology and management: lessons from the Pacific coastal ecoregion, by R.J. Naiman and R.E. Bilby, editors. Ecology 81: 882-883. Collazo, J. A. and M. J. Groom. 2000. Avian conservation in forested habitats of north-central Puerto Rico. Final Report to the Puerto Rico Department of Natural and Environmental Resources. Collazo, J. A., F. J. Vilella, T. H. White, and S. Guerrero. 1999. Survival and habitat use by captive-reared Hispaniolan Parrots released in Parque Nacional del Este, Dominican Republic: implications for releases of captive-reared Puerto Rican Parrots. Final Report, USFWS, Rio Grande Field Office, Puerto Rico. Kwak, T.J. 1999. Animal waste nutrient dynamics in the stream food web: evaluation of multiple stable isotopes for detection. Final Report Submitted to Arkansas Game and Fish Commission, Little Rock. Simons, T. R. and S. A. Shriner. 2000. Ecology and conservation of Neotropical migrants in the southern Appalachians. 1999 Annual report to the National Park Service, 27 pp. Simons, T. R., J. L. Lichstein, and K. E. Franzreb. 2000. The effects of landscape pattern, core areas, and forest management practices on avian communities in the southern Appalachians. 1999 Annual report to the U.S. Forest Service, 23 pp. Simons, T. R., L. L. Bailey, E. J. Hyde, and K. J. Pollock. 2000. Evaluation of salamander habitat associations and population monitoring techniques in Great Smoky Mountains National Park. 1999 Annual report to the Environmental Protection Agency, 20 pp.